BucketFeet co-founders Aaron Firestein and Raaja Nemani (L to R). It was January 2011 and Raaja Nemani and Aaron Firestein were waiting for 2,600 pairs of sneakers to be delivered to their home in Chicago, which was experiencing a massive snowstorm. When the shipment arrived, via a container on the back of a big rig freight truck, the friends realized they’d failed to think things through. The driver wanted to know where the unloading dock was and who was going to unload the delivery. There was no unloading dock -- “we were like, ‘dude, this is a residential street,’” says Nemani -- and the pair had planned on doing it themselves. That, they quickly realized, would take forever. So they called a few friends, paid the delivery guy $100 to help out and spent the next three hours unloading boxes of shoes in the snow. 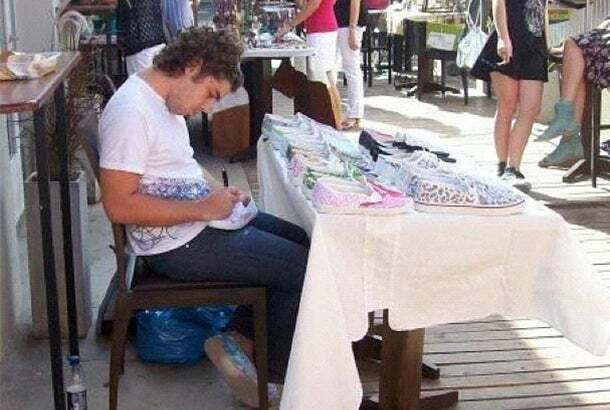 Firestein designing shoes by hand at an artisan fair in a small town in Argentina in 2009. Neither Nemani nor Firestein had experience managing inventory. The freight truck debacle was just one of many mistakes they made in launching BucketFeet, a footwear brand featuring designs from artists around the world. In that first shipment, for instance, they ordered the same number of shoes in each size. Predictably, common sizes sold out instantly and while small and large sizes remained on the shelf. “Super dumb,” says Nemani. But just as with that first shipment of shoes, after each setback the pair not only managed to think on their feet but learn from the mistake. To date, BucketFeet has sold almost half a million pairs of sneakers. The company, which has raised $16 million in venture capital, recently expanded to socks, and plans to launch a number of new shoe silhouettes this year. 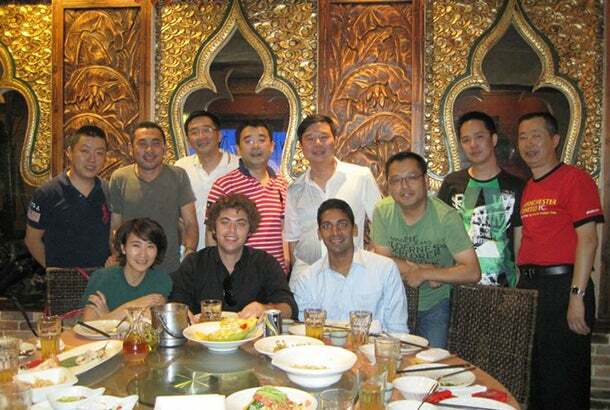 Firestein and Nemani in Shanghai in 2010 with people who worked at the first BucketFeet factory in China. Both founders attribute their success to the clarity of their vision. Even as they stumbled in the early days, finding their way one mistake at a time, Nemani and Firestein were laser-focused on using their shoes to create a community of creative people. Today, the company has a network of more than 30,000 artists from around the world who submit artwork to be featured BucketFeet’s sneakers. 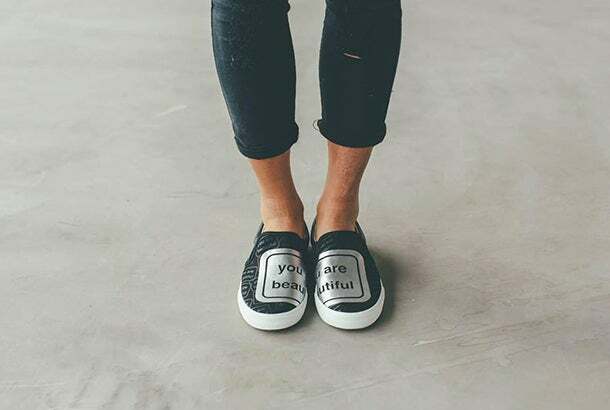 When a design is selected, BucketFeet handles the manufacturing and distribution and the artist receives an initial payment of $250 plus $1 per pair of shoes sold. Every pair of shoes comes with the story of the artist who designed the shoe. The idea for BucketFeet struck in 2008 in Buenos Aires. Nemani had just left his finance career in Chicago to see the world and Firestein had just graduated college, leaving California to travel while he figured out his next steps. They landed in Buenos Aires on their respective soul-searching journeys and, seeking a community of like-minded people, volunteered to play soccer with children in slums outside of the city. In the coming months, they became friends. 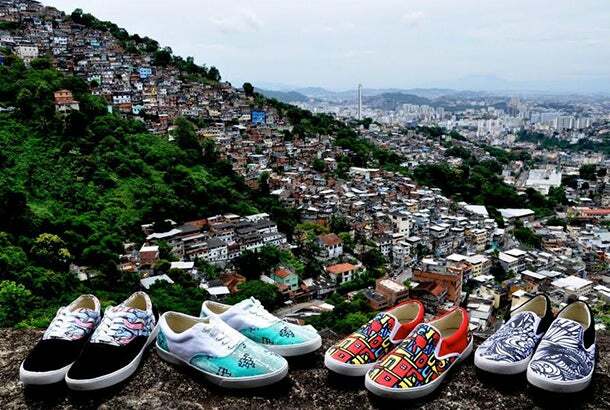 The first four Brazilian artist’s shoes overlooking Rio de Janeiro in 2012. Before Nemani continued on his round-the-world journey, he bought a pair of sneakers that Firestein, himself an artist and photographer, had decorated by hand. Everywhere Nemani traveled, that pair of decorated Converse sneakers sparked conversation. “Whether I was in Botswana or Nepal or the U.K. or Australia or any of these totally different places with totally different cultures and languages, people kept commenting on my shoes, and I thought that was incredibly powerful,” says Nemani. The reaction was strong enough that he reached out to Firestein to see if he wanted to turn his sneaker-decorating side hustle into a larger operation. The only catch? Neither of them had any experience manufacturing shoes. When BucketFeet had only 5 employees in 2013. Thanks to the Internet, the pair realized they would need to manufacture their shoes outside the U.S., but they didn’t have any connections. Then one day, Nemani was walking in downtown Chicago when he saw a sign for Mimi’s Maternity, a sizable retail store that he remembered his friend’s parents owned. Nemani called his friend to ask if his parents might have any manufacturing connections. Those connections eventually led Nemani to a contact at the Li & Fung Ltd. consumer product manufacturer in China, whom he calls the “800 pound gorilla” in the sourcing world. Nemani and Firestein each put in $30,000 to get the company off the ground. For the first two years, the co-founders did not pay themselves or spend money on marketing. Every dollar went directly into creating the product. 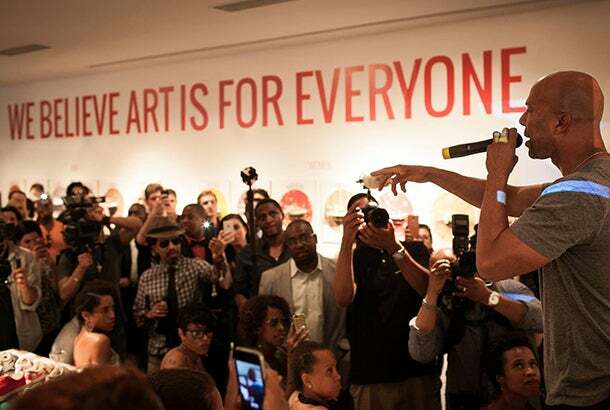 BucketFeet did an event with rapper/actor Common at its Soho pop-up in 2014. Early on, Andy Dunn, the founder of clothing retailer Bonobos, discovered BucketFeet shoes. He liked them enough to invest in the company and put BucketFeet sneakers up on the Bonobos website, albeit only very briefly. That exposure, along with a landing spots at a couple of key retailers like Nordstroms online and Bloomingdales, helped give the sneaker startup its early traction. Today, BucketFeet sneakers are sold at its four solo stores, online and at hundreds of retailers in 25 countries. Bold actions are often called foolish after the fact when they fail and courageous after the fact when they succeed. At this point, the BucketFeet duo can certainly look back on their startup bravado with pride. “We are great examples of you don’t need to have the background experience, relationships or anything to create something,” says Nemani. 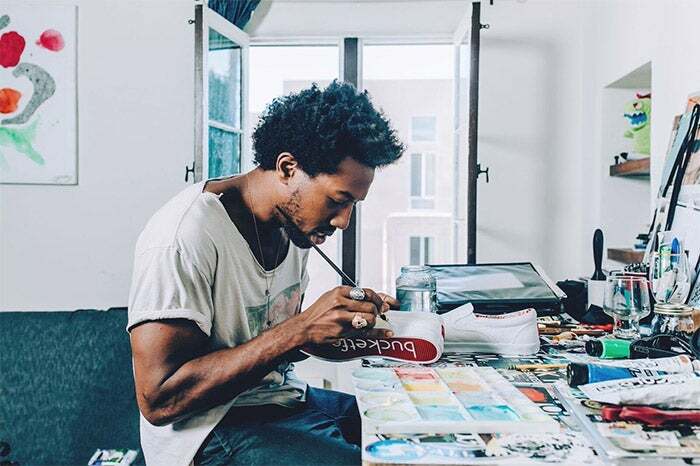 LA-based BucketFeet artist Shplinton working.